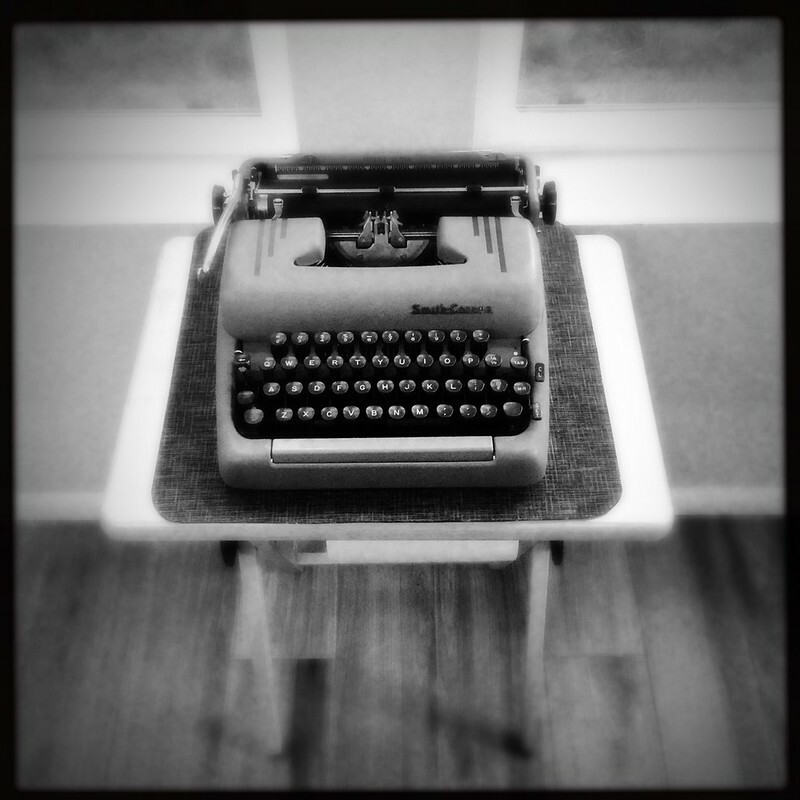 I was thinking about the similarities between writing and photography. Part of the reason for this chain of thought was because I'd been watching an interview with photographer Michael Kenna, who talked about photography being a medium of communication. For those of us steeped in the technological side of photography, with its incessant equipment upgrade cycles and talk of megapixels and form factors, it's all too easy to lose site of the primary purpose for creating and sharing images, which should be to inspire and impart some experience, idea or emotion to the viewer; to communicate, as a creative person, to a wider audience. Part of the blame for our lack of appreciation for photography as a communicative medium is that it is so gear-centric, and thus manufacturers, marketers and the photo media are incessantly busy pushing gear and software products; and laypeople are all too willing to talk it all up in discussion forums. All too infrequently is the conversation about how to communicate to others through the medium of images. Being a better photographer really means being a better communicator, rather than merely being better equipped at twiddling camera settings. Oh, sure, technical proficiency is one aspect of being a skilled communicator, but that's not where it ends; wielding a camera skillfully is only the beginning; like learning to write requires first some skills at composition, but doesn't end there. I was also thinking about this art we call writing, the use of words to communicate ideas. The end result is much the same as in photography, although the means to that end is very different, as are the methods employed. We talk about word pictures, or use visual terminology to describe literary metaphor. A picture is worth a thousand words, perhaps more. These thoughts were floating around in my head today as I returned home from a day trip to northern New Mexico and found a package waiting for me, from the print-on-demand publishing service Blurb, of a collection of short stories I'd been working on for the last few years. It's one thing to see the finished book simulated on my computer screen, ready to upload to Blurb; but an entirely other thing to hold the thing in one's hand. These are called vanity presses for a reason, although in my case it was more a case of relief than egoism, since I was merely hoping to get these stories polished and in book form; to be done with them and get them into other readers' hands, even if those readers are only family and friends. I placed the small stack of paperbacks on the table in our patio room, while my wife busied herself with whatever it is wives do after a day trip to northern New Mexico and the Three Ravens Coffee House in Tierra Amarilla. But once she settled down, she suddenly took notice of the books and immediately started reading. She's read a few of these stories before, spread out over a period of years, but not all, nor all in one collection. I was gratified that she appeared to be engrossed; or perhaps it was mere curiosity, in the way that people are attracted to mayhem and disaster. But I think not; Loser's Blend is an okay collection of short stories, centered around a fictional bohemian coffee shop and its regulars. There won't be any Pulitzer Prize awaiting me, but that's not what motivates me to write, any more than hoping to be the next Ansel Adams doesn't motivate me to create images. 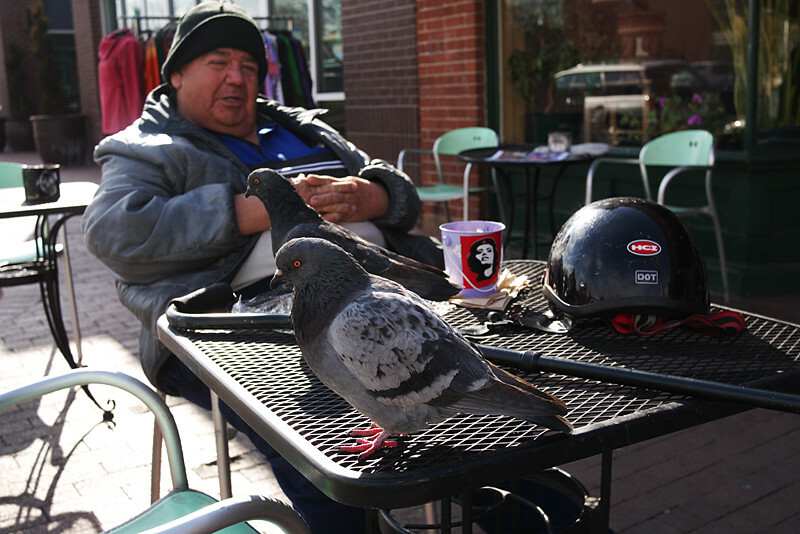 Like all good photographs, what I enjoy about writing is conveying a story to someone else. Storytelling is essential to the creative experience, and also might well be genetic, as humans have been telling stories since the beginning of language itself. Humans have also been picturing those stories as drawings since as far back as we can find evidence for humans, and more recently making those drawings by means of photography instead of charcoal or smashed berry juice. I find myself, now in middle age, conveying family lore and personal experience to the younger folk in the clan by means of storytelling; just as my dad and his dad before him. This isn't unusual, but entirely normal. We're all storytellers; it's genetic. Storytelling is the mind's playback mechanism, imparting to someone else through oral tradition that which would otherwise be lost to posterity. It's history in the making through telling, and retelling. If we boil it all down, scrape off the dross of the world of elite literature and art, we are all storytellers at heart, in some way. It matters not if we are degreed or pedigreed or half-breed; we all have a story to tell, and some means to convey that story to a wider audience. The idea that only "professional" writers can tell stories is an artifact of western culture, its social stratification and elitism. Sure, to have your story more widely heard it might do you good to polish it with the skills of the learned writer (or photographer, or film maker); but the first thing, the essential thing, before all else, is to write, to tell, to create, to express. What's your story, and who will you tell it to? Post-Script: Here's the link to my Blurb books, including Loser's Blend. I'm doing this crazy techno-mashup that's not supposed to work, and that's likely to infuriate both the digerati and the Typosphere, which is to plug a standard USB-wired PC keyboard - one of those wide decks that's about the size of a miniature skateboard, minus the wheels and trucks, that has the function keys and ten-key-pad off to the right, so far off to the right that if you were using a mouse with your right hand your right elbow would be in the next county, and you'd certainly be showing signs of carpel tunnel - into my little iPod Touch, via its standard USB adapter. No, it's not one of those sleek, Apple-looking wireless keyboards with those rubbery chicklet keys, that advertises you're somewhere in the 21st century; no sir, this is one of those clacky desktop keyboards that shouts "1980." Actually, it's not that cool; just a standard HP keyboard from the last decade. But where to mount the tiny iPod Touch so as to make this a practical writing rig? My wife, smart as she is, immediately knew the solution, which was to employ the lap desk. So now I'm seated in the backyard, under our big tree, on a cloudy, late Summer's day, with this big keyboard and the tiny Joby Gorilla Pod holding the dinky iPod Touch. 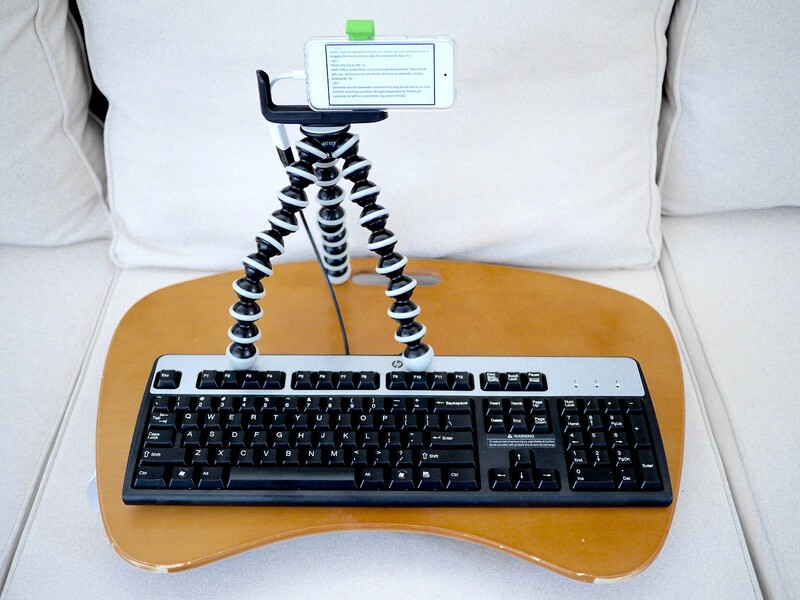 At least the black-and-white theme of the HP keyboard matches the tripod's. Not that fashion statements matter at this late date. This little iPod has a very small battery, smaller than an iPhone's, so battery life is an issue. When I'm not actually needing to be connected to WiFi I set it to airplane mode; and now with this wired keyboard I also don't need to be wasting more battery juice with blue tooth turned on. How I found out about using a standard USB keyboard on an iOS device is because I was on one of those Internet fixations the other day, researching so-called "60%" mechanical keyboards, and came across a keyboard discussion forum (you knew there'd be such a thing, right?) where this was mentioned. I have this hate/hate relationship with full-sized keyboards, the ones with 110 or so keys and all those extra keys off to the right; that, if you're a touch-typist like me, with your fingers on the home row, your hands are centered about 1/3 of the way over from the left side of the keyboard. Which is an issue with certain workstation setups, like just about every one in the factory where I work, that equip each station with just enough room for one of these wide behemoths, and position the monitor over the middle of the thing, so that us touch-typists can't have the alphanumeric keys and monitor centered in front of them; and also us right-handed mouse users are relegated to a very non-ergonomic position. I've taken to mousing left-handed while at work, just to take the strain off my right shoulder and wrist. I don't use those ten-key-pads off to the right; I never worked in a grocery store as a clerk, back in the days before barcode scanners, when the clerks would pick up the can of beans out of your cart with one hand, read the price on the little sticky paper label and, without looking, key in the price on the cash register with the other hand. I remember in high school the math department had classes that taught students how to be fluent in touch entry on adding machines and cash registers and such. It would be only a decade or two after that and such skills would be entirely obsolete. The desk in my office is one of those big cherrywood colored, Scandinavian-styled corner units. You'd think I'd have plenty of room, but with all the clutter I like to accumulate, such as scanner, printer and a plethora of books and papers, a full-sized keyboard is kind of a nuisance. There's also a typewriter on the desk, but that doesn't count as clutter, of course. What I really want is a smaller keyboard. A practical person would go down to the nearest big-box retailer and pick up for cheap a medium-sized keyboard, one without the ten-key-pad off to the right, but one that still has the top row of function keys and the navigation keys on the right. But I'm not a practical person; especially after I discovered so-called "60%" keyboards, ones that only have the alphanumeric keys and the few additional ones immediately adjacent, no function or navigation keys; instead, they use a program key that accesses three other key mapping layers. These tiny keyboards seem to be popular with geeks who like to attend gaming conferences and don't want to travel with their full-sized keyboards, that are as big as their skateboards. Also, there's this popular fascination with mechanical keyboards, that I suspect any typewriter fanatic could appreciate, much like the way a film photographer can appreciate Fuji digital cameras that appear somewhat film-camera-like. While IBM model-M keyboards enjoy a legacy of being the standard in mechanical keyboards, the big name in mechanical keyboard switches these days has been Cherry, and they have a full line of such switches, each with a different kind of feel (detent or linear, with a variety of force settings), that are identified by color. Cherry Blue switches are the most clicky feeling, and the loudest, with the Cherry Browns being more subtle, followed by the Cherry Clear switches. Since keyboard touch, as any typewriter fanatic can tell you, is such a personal thing, buying into such an exotic keyboard should not be done without first a bit of research. Luckily, there are sample switches you can buy. I just ordered, from Wasd Keyboards, a 6-key Cherry sampler, that I hope will give me more information before I embark down the road of acquiring a custom mechanical keyboard to my liking. There is also, as with any technological field of interest, more exotic keyboards and switches. Some of these Japanese magnetic reed switch keyboards have attracted interest, like the way that denizens of local coffee shops like to denigrate Starbucks as being "so corporate." The more exotic the better, like small lines of exotic Japanese denim jeans, ones that are so pricey that you can't afford to wash them. There's also an interest in legacy keyboards by many young folks, with pre-PC mainframe keyboards and early Apple models in high demand. Stylistically, I'm somewhat attracted to the control consoles of nuclear command centers and other military computer systems, like what you'd see in the film "War Games," or what we saw, earlier this year, when we visited the Titan II Missile Museum, south of Tucson, Arizona. "Don't press the red key, that launches the missile." It would be so cool to have a keyboard with a red key that said "Launch," or maybe "Apocalypse Now." I'll probably buy my keyboard from Wasd, because they offer this spectacularly personalizable 61-key keyboard where you can choose the color of each key - yes, think about that for a second: each key can be customized with whatever color you choose, even artwork - along with your choice of labels. They have a Flickr account where you can view, in jaw-dropping color schemes, all the hundreds of custom keyboards they've fashioned for customers. Some of these color schemes directly remind me of the pre-Personal Computer era, when mainframes were controlled by these colorful banks of switches. Certainly, some of the designs are a bit too much, like alternating the color of every other key, just to be different; but other color schemes seem simultaneously practical and beautiful. I was seated at this same spot in the backyard yesterday, typing on my robins egg-blue Webster XL-747 typewriter, with white keys, bold black labels and the red tab and repeat spacer keys, when it struck me that this would make a dandy color scheme for a custom keyboard. I'm thinking the letter keys would be white with large, black labels centered on the keys; the number row would be robins egg blue and the surrounding keys (control, shift, caps, tab, escape, enter, backspace) would be bright red. 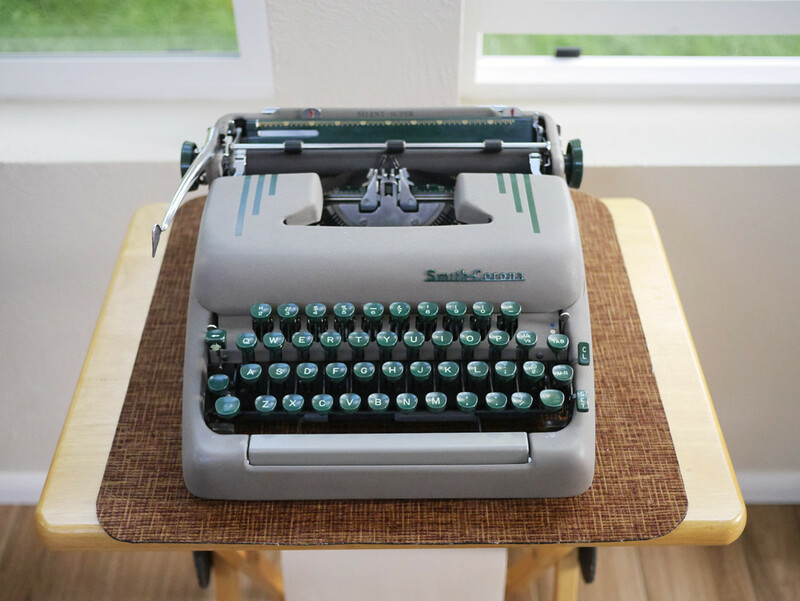 Not red, white and blue for patriotic reasons, but in honor of this wonderfully pretty typewriter from the 1970s. I must not be alone in my appreciation of the color schemes of manual typewriter keys, because I also saw a photo of an all-green 60% keyboard, inspired by the Hermes 2000/3000 line of typewriters. 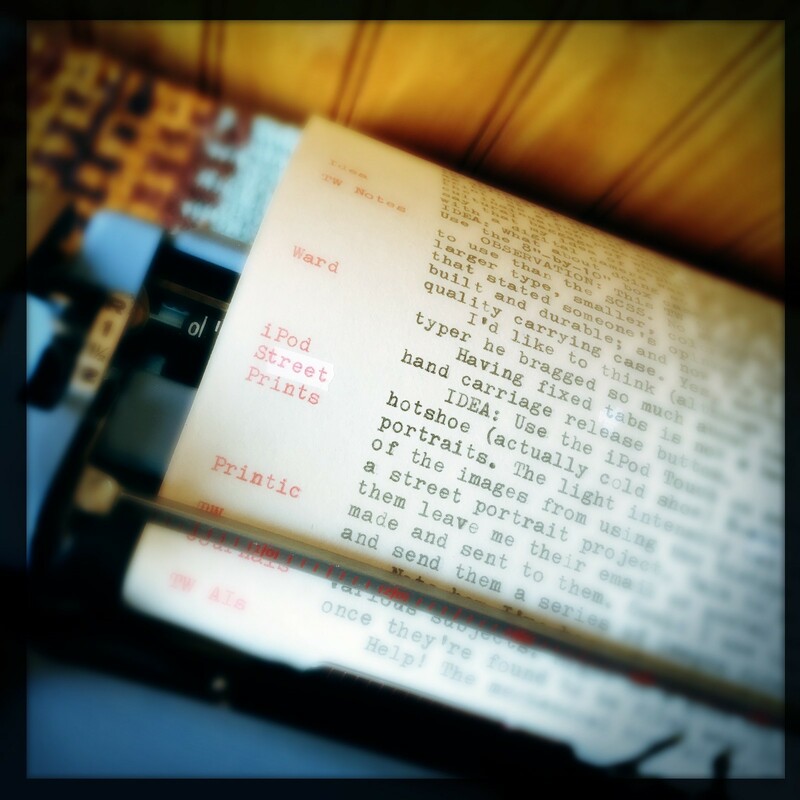 This fascinates me, that manual typewriters could serve as design inspiration for modern-day, tech-savvy computer geeks and gamers; people who are decidedly not part of the Typosphere and typewriter blogging community. 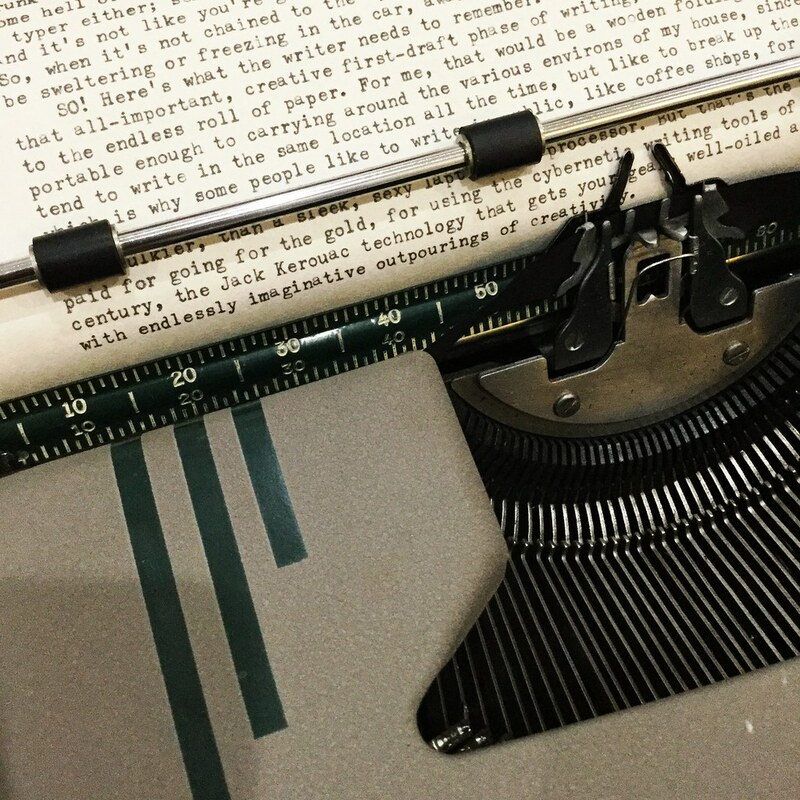 Sometimes you have to step outside of your own cultural community to see the wider picture of how much typewriters have inspired and informed the culture at large. Which reminds me, on a side note, that I walked into a Goodwill store about ten minutes after someone found an Olympus SM-3, in burgundy trim, for $5. She was kind enough to let me take a peek inside that wonderfully round carrying case, but I couldn't talk her out of her intended purchase. Which is fine, since I have 11 typewriters, and this will be her first. Spread the wealth. But still, such a nice machine for five bucks. It boggles the mind, thinking about all those potential great bargains I've missed by not being on constant patrol of the thrift stores. Best not to think of it, since I've been reminded repeatedly, by She-Who-Must-Be-Obeyed, that I have enough typewriters for now. Uh huh. This combination of clacky keyboard and iPod Touch reminds me so much of the Alphasmart line of word processing keyboards. I've visited their Flickr site many times, and read many of the discussion threads, but can't recall mention of this easy way to simulate an Alphasmart system with an iOS device and standard USB keyboard. I'm thinking that another way to incorporate a miniature 61-key keyboard, in a personalized color scheme, with an iOS device would be to build some little bracket device that attaches the iPod Touch right behind the keyboard, elevated at a convenient viewing angle. Oh, did I mention that there are also wooden (yes, wooden - think exotic tropical hardwood) holders for these mechanical keyboards? It boggles the mind, and possibly the checkbook, too. Here's the link to the Wasd Flickr site, where you can drool over all those wonderfully colorful keyboards. Someone should immediate comment this blog article and try to stop me from acquiring a custom-designed keyboard. Or, better yet, convince me with an even better argument in favor. Help! I am being held captive by a blue mechanical AI. No, it's not some advanced artificial intelligence of the kind being developed by leading tech industry titans, but was something evidently created decades earlier, and made of all mechanical parts, like some steampunk automaton. 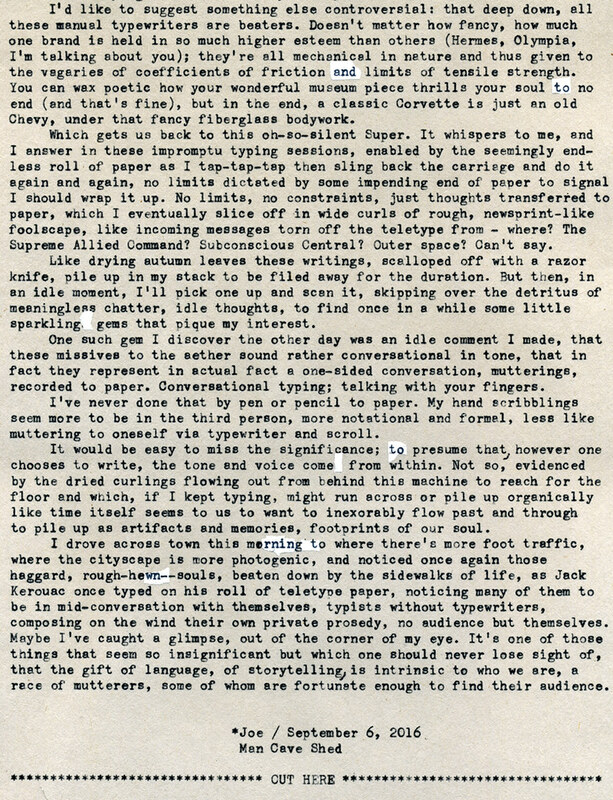 I know what you're thinking, that there's not enough complexity in a typewriter to account for its abilities I've observed this afternoon, while engaged in an extended typing session with the roll of teletype paper threaded up, to keep me chained to my chair, banging the keys and slinging the carriage back, a roll of intelligent prose (or nearly so) falling back behind onto the floor. But I have no better explanation to offer. This Brother-made Webster XL-747 has even offered me a meaning to its name: Writing Enjoyment By Simply Typing Endless Randomness. At least, that's what came out on the paper roll. Who am I to argue? Now, there's something else it revealed to me: a way to organize these diverse scrolls of random writing by using the margin release button and red ribbon to make marginal notes along the lefthand edge, so that once filed away I can still easily locate individual topics. I've been using Smitty, the Smith-Corona Silent Super, for a few weeks and, while it has a softer touch than this Brother, I've found I can type at least as fast, maybe faster. Yes, the touch of the keys is heavier, and it's carriage shift, but with my weird typing technique and my right elbow supported on the armchair I can accurately hit the keys harder, with great accuracy. This little blue AI also is smaller, lighter, has the repeat spacer and a nice carrying case. This is one of those things about typewriter collecting that I hoped to achieve, to narrow down the collection to just those machines I really enjoy using. While at the Phoenix Type-In last month I sold both Olivetti Lettera 22s, which were both similar enough to this Brother in size and color but weren't as pleasing to use. I think I made a good choice, as this machine has essentially no mechanical issues whatsoever. It's a joy to type with despite its heavier touch because I don't have to pause for corrections like with other, more trouble-prone typers. Now that this blue AI has used me for its own purposes of announcing itself to the world, I'm hoping it will have the kindness to permit me a good nights sleep before I return to work early tomorrow morning. But they're sneaky, these AIs are, so I must be on my toes. Post-Script: Here's the entirety of the short story series thus far, in the internal chronology of the story's world. The last part yet to be posted online is below, which comes second-to-last in the chronology. You might notice that a number of these stories were written in a short period of time, spanning October 2011 to January 2012, in what I consider to have been a most creative period of my life. It's difficult to manufacture creativity, but I must have been doing something consistently good; perhaps merely hanging out at Winning Coffee had some effect. The eleventh story in the chronology, "Some Future", is posted for the first time below. 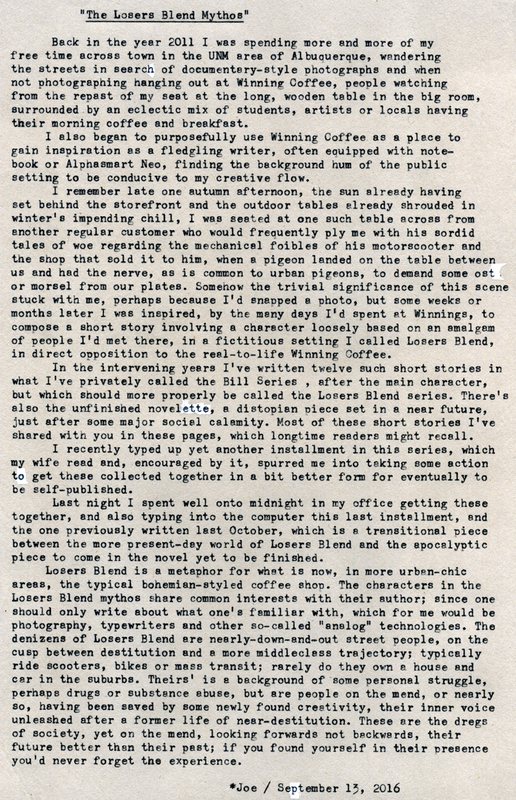 I composed it on the Smith-Corona Silent Super, a typewriter that is of the same ilk as the denizens of Losers Blend, for it too was rescued from a former existence of bohemia and the dregs of society, requiring plenty of work, and even now remains noticeably less-than-perfect, but therefore possesses a quaintness because of that troubled background. This is a reformed beatnik typer, yet still possesses the spirit of that Kerouac technology, despite all the work I've put into reforming it into some model of middle-class Americana. It possesses a free spirit, always reminding me of its scars and troubles, as is fitting for a beat typer. One should always respect one's beat typer, for they are the artist-typers of our culture, the ones we should grab first when we wish to channel our inner Muse and capture onto ink and paper a bit of the whimsy of the aether. Bill threaded the scooter between traffic and rows of parked cars, finding the ramped curb where Harold the store clerk rolled his dollies of produce from the double-parked delivery trucks, early in the morning. Finding his favorite spot on the sidewalk between the newspaper box and light pole, Bill lifted the seat and extracted cable lock and shoulder bag, securing the rig as he'd always done, then headed halfway down the block to Losers Blend, indicated by the mess of tables and chairs on the wide, brick sidewalk, filled with mostly an assortment of college students, street people and hipsters posing as the former. The smell of hand rolled cigarettes and vaporizers filled the autumn air, unseasonably warm. The aroma of fresh ground coffee, garlic and cayenne pepper from the kitchen greeted him as always, a comforting familiarity in his otherwise hectic existence. "Morning, Todd." "Yea. And the Times. I'm feeling rich today." Bill didn't always read the news, but sometimes he made exceptions. Coffee and paper in hand, he made his way to the corner table, ordinarily cluttered with a mess of magazines and sections of yesterday's paper, a catch-all that the old crew knew was actually Bill's reserved table in disguise. He quickly gathered up the detritus of old news and stacked them, in one graceful heave, into the spare chair, then sat down, neatly arranging his coffee, shoulder bag and paper. Just in time, Maggie, the new gal, brought him his breakfast. "Here you are. Can I get you anything else?" "Just keep the coffee coming, thanks." "Well, we normally don't do refills, it's serve yourself." "I know. But then again, nobody's come here as long as I have, and it's become a kind of tradition, one that Marty started, years ago." "Oh, you're the special customer. I see. Sure, no problem." "Special customer? No, not really. I just like tradition, that's all. Otherwise nothing special at all about me." As Maggie turned to leave, Bill realized his special status as the closest friend to the late founder of Losers Blend was a soon passing phase, one that would be lost to the changes that time brings. Just as cultures evolve, the old Losers Blend would soon be forgotten. He didn't exercise his special status out of some ego-driven motivation, but as a way of remembrance, or so he liked to tell himself. Remembrance for the way things used to be, for the special person Marty had been, and for their special relationship, forged by a bond that only comes from drastic circumstances. Though he didn't want to think about those dark times, he also didn't ever want to forget. 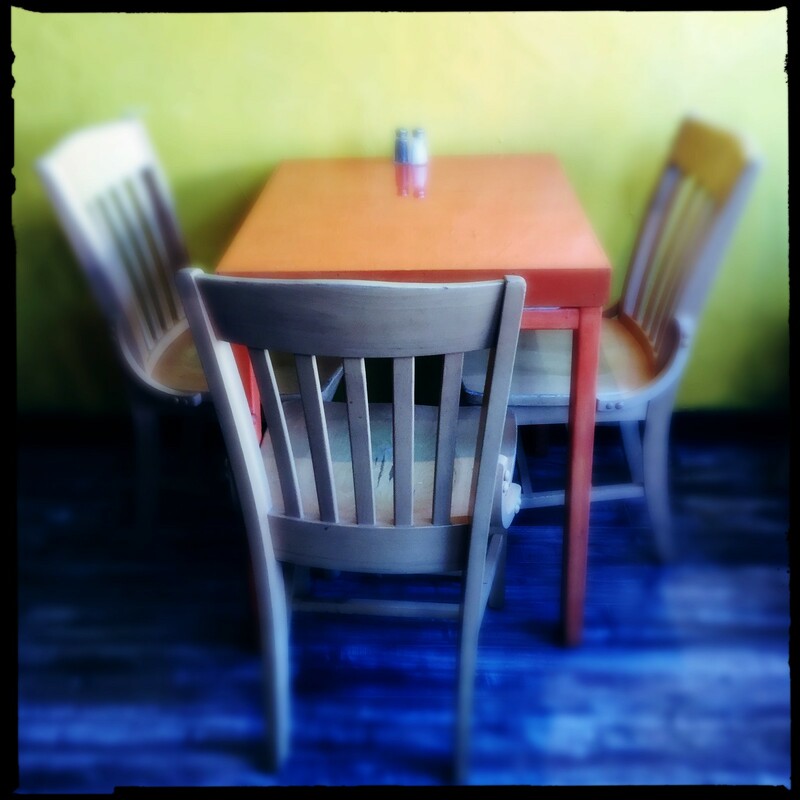 That was the whole point of the messy table in the corner, the one Marty used to sit at during his breaks from the kitchen, back when Losers Blend was just starting and the idea of a bohemian coffee shop was an oddity to middle class sensibilities. Digging into his breakfast, the chile was as hot as ever, the one thing, aside from the good coffee, that hadn't changed with Marty's passing. Pausing with elbow on table and forkful at mouth, Bill could still recall, as if it were just yesterday, when they'd first met. Bill's had been a hard childhood, with his mother dying when he could barely walk and then his dad's years of struggle with drink. He'd been passed around from one family member to another, first his grandparents, then an aunt, then another aunt, until he was sixteen and decided enough was enough and he ran away, to start his adult life a few years earlier than his peers, whom he didn't know, having moved from city to city and school to school, always the loner, the outsider, the new guy. At eighteen he tried to join the Army but failed the entrance exam. People told him you had to be pretty dumb to fail the Army exam, as dumb as a box of rocks. For a while he started to believe it himself, until one day when he found himself on a bus stop bench voraciously reading a discarded paperback novel and suddenly looked up and the world around him looked different from what it had been a half hour earlier, as if those words printed in that grimy, dog-eared novel had been a key that unlocked something deep inside him, like shedding a thin veneer that'd covered his eyes and obscured the truth. Ever since then, he'd been on a journey of discovery, bouncing around from one situation to the next but always with his mind set forward, to some future that only he could see, a future anyone else who knew him at that time would be hard pressed to imagine could ever circumvent the situation he'd been in then. And then he met Marty, a fellow vagabond like himself, and at once they both knew they'd found brothers in each other, the family they didn't have. Marty and Bill hung out together, ran the streets together and did whatever they could to get by, sometimes doing things they knew were trouble, but justifying it with the reason that they were desperate, and desperate people had to do what they had to do. Survival was the motto on the streets. But Marty and Bill weren't dumb. They knew enough of the streets and the people on them to know that once you fell to the allure of the bottle or the needle or the pipe, you were a goner; that the way forward and up would be much harder. And they both shared a common vision for the future, one in which they both could keep a bit of their present freedom while somehow making it in life, threading that narrow needle's thin gap between slavery to The Man and succumbing to the flesh. Bill suddenly realized he'd been staring out the window, the food that had once been on his fork now staining the front of his shirt, and Maggie had refilled his coffee while he'd been away in his private reverie. And this was how he came to understand that he'd crossed over some crucial milestone in life, when instead of all his energy being consumed in striving for a seemingly unattainable future, he spent more and more time recalling a past that was even more unattainable. The future was certain to happen, though maybe not the future one hoped for; but the past was gone forever, its only evidence distant memories and some artifacts, like bones unearthed and preserved in our private museums, memories of the kind one finds prodded into surfacing from the dark pond of life by snapshot photos in crusty old albums. The morning rush now over, Todd was busying himself with cleaning up and preparing for the noon rush when he noticed Bill standing at the counter. "Need a refill?" "No, Todd, thanks anyway. I'll be going now. And the table in the corner, you should clean off those old newspapers, I'm sure somebody'd like to use it." But Bill didn't answer, or didn't hear him. He exited out the grimy glass door into the morning light, bag on shoulder, without looking back, his face set on some future only he could see. Post-Script: The reference in that last paragraph to Kerouac's On The Road was unplanned, but perhaps inevitable, given the nearly identical method of composition. 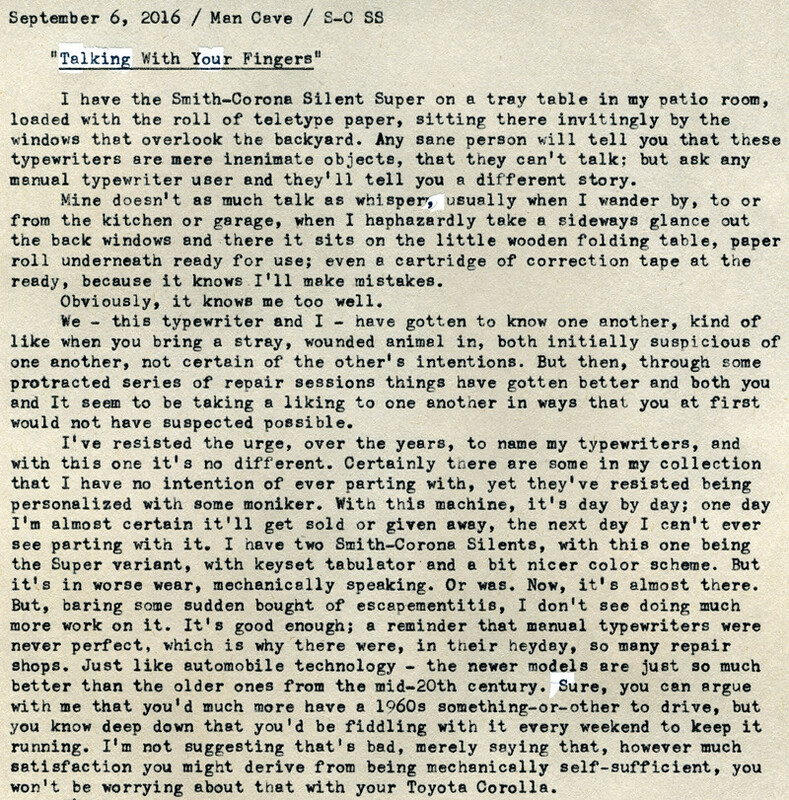 I've read On The Road numerous times, but never in the context of it being a work specifically wrought onto teletype paper via manual typewriter, in some manic act of marathon muttering. Perhaps a reread is warranted. 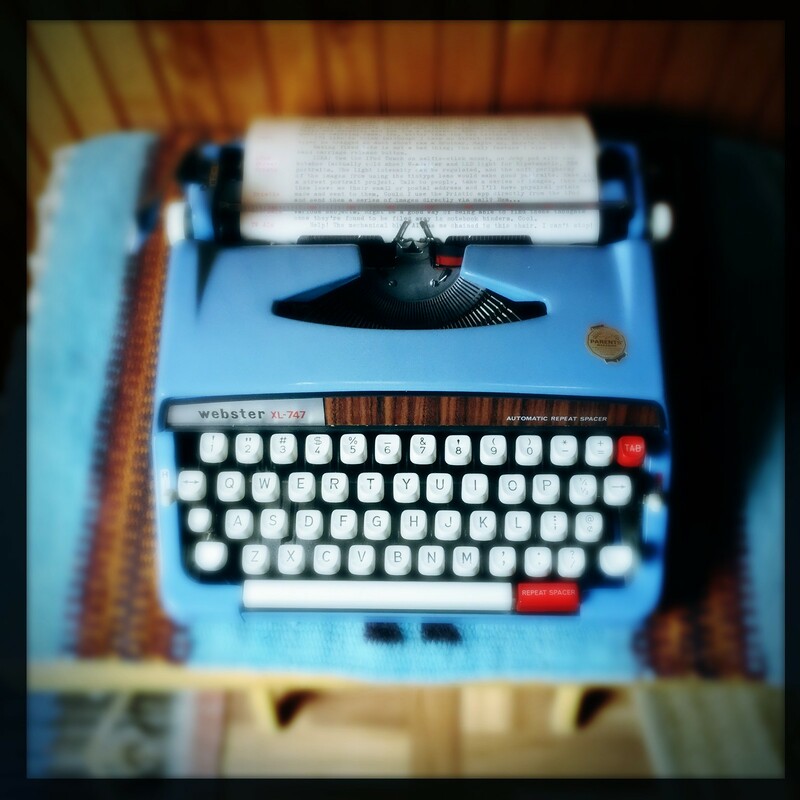 I find the smaller font size of the Silent Super to be ideal for this kind of writing, as it seems more like letter-writing, more personable, requiring an up-close read, an intimate squint into one's own soul. Misspellings and typographic errors courtesy of the author.